Wrinkles are one of the most distinctive traits we think of when we think about bulldogs. While these folds are adorable, they are a hotbed for infection if not kept clean and dry. How often you clean your dog's wrinkles really depends on the amount and depth of the wrinkles, and your dog's lifestyle. Some dogs need their wrinkles cleaned daily, and others can go a bit longer. However, it is imperative you check your dog's wrinkles often to ensure they are staying clean and dry to prevent irritation or infection. What are the causes of irritated wrinkles? Wrinkles are dark and moist, making them the perfect environment for bacteria and moisture. Every time your dog eats or drinks, moisture and food particles splash up and collect in wrinkles. When they play outside, other types of debris can squeeze in between wrinkles. If this mixture of moisture, food and debris is not regularly cleaned it’ll help foster bacterial life, leading to irritation. There are various stages of wrinkle infection. The first sign of irritation or infection is inflamed skin, also known as dermatitis. If this dermatitis is not cared for, the skin could develop bumps and sores oozing pus. 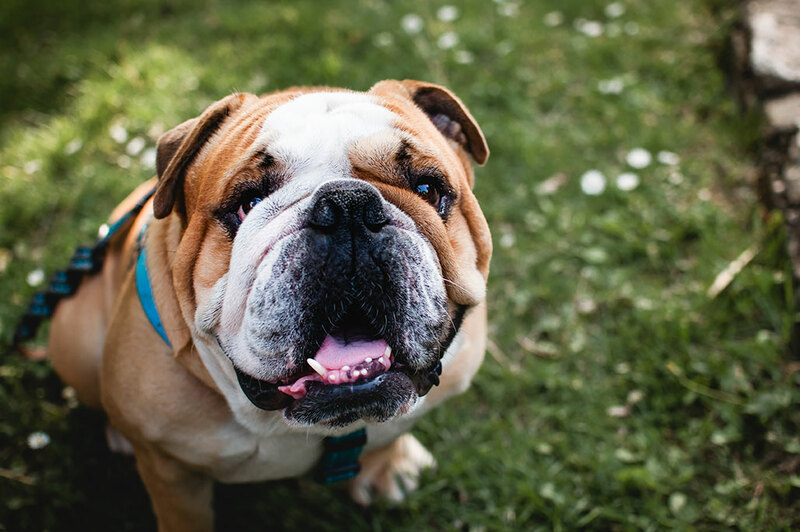 Bulldog wrinkles are also susceptible to staph infections. If your dog is showing these more serious signs of infection, they need to go to a veterinarian as the infections will not go away on their own. Bulldogs do not only have face wrinkles! Some may have wrinkles on other parts of the body that will also need to be checked and treated with the same care. Check face wrinkles often, and clean with a damp towel, especially after your dog eats or drinks. Then follow up with a dry towel to remove any moisture. Cleaning your dogs food and water dishes regularly will also help prevent any bacteria from developing. Use a wrinkle balm! 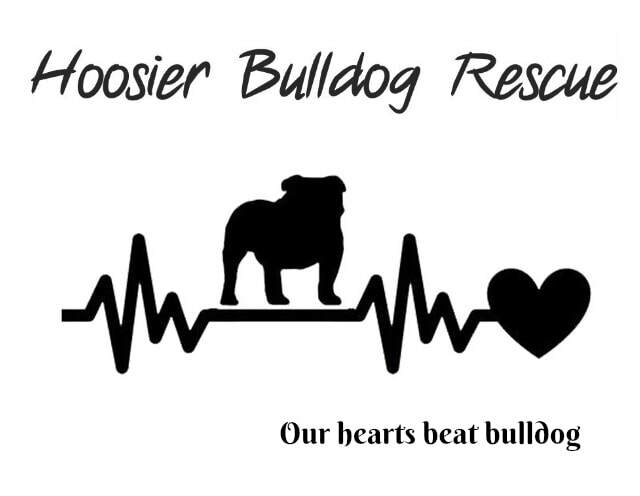 Please reach out to us for a few brands that we love and use on our own bulldogs. Applying a balm regularly can help protect your dog from infections. Just be sure to apply the wrinkle balm to clean skin! For extra protection against moisture, you can use cornstarch, baby powder, or other special powders in the wrinkles. Use extreme caution with powders and keep out of your dogs eyes!